We saw this cute idea from Brown Eyed Baker and decided to try it out! 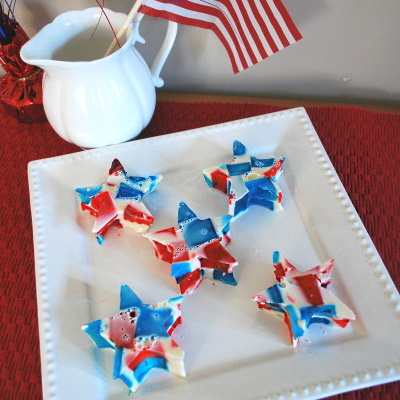 Cut Jello into Fun Shapes with cookie cutters for Parties, Special Occasions or just for fun. Use colors to represent holidays, favorite colors, team colors and more. For each flavor, dissolve one box of Jello in 1 cup of boiling water. 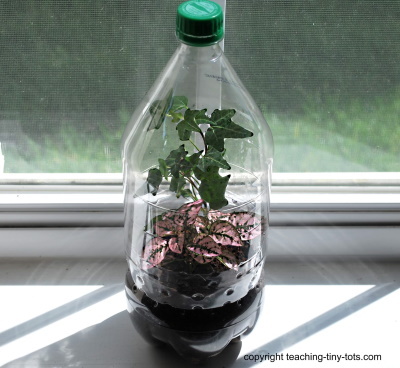 Pour into a flat, square container about 6 x 8 inches and chill for a minimum of three hours or overnight. After jello is set, cut into small blocks. We cut them into about 1/2 inch blocks. 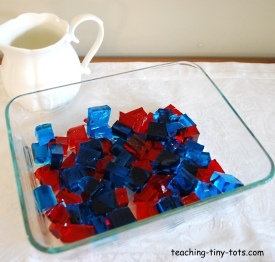 Place all the jello blocks into a 9 x 13 inch pan and carefully mix. 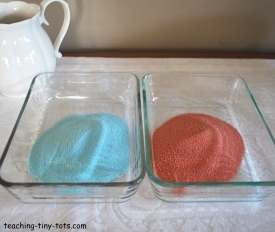 In a separate bowl, mix two envelops of unflavored gelatin with 1/2 cup cold water. 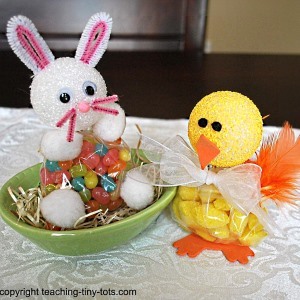 After the gelatin blooms, and 1 1/2 cups boiling water and dissolve. Add the can of condensed milk. Stir and let cool. 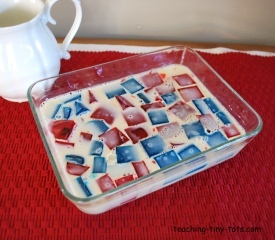 Pour cooled condensed milk mixture over Jello blocks in the 9 x 13 pan. Skim off any small bubbles that are created when you pour the condensed milk on the Jello pieces. Cut with cookie cutter and arrange on plate.